Looking for more than 'just' a wardrobe? 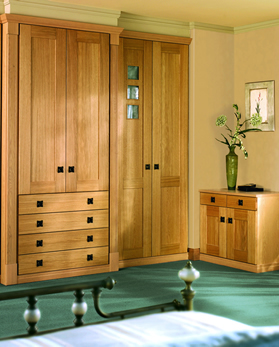 Our sister site, Fitted Wardrobe World is a leading provider of DIY Install Fitted Wardrobes and Fitted Bedroom Furniture. Using their unique online design tool, you are able to choose, design and buy your new fitted wardrobe, without the hassle and fuss of visiting a showroom and sitting for hours with a consultant. What's more, because they have no pushy sales people, you get the bedroom you want - not what the salesman wants to sell - and as a result, they cost saving is passed on to you, the customer. 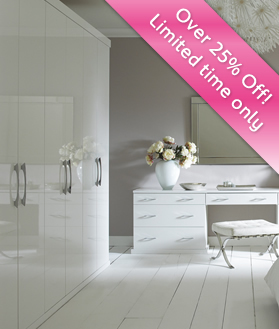 With twenty-three fitted bedroom ranges, you're sure to find something to your taste, at a price that is unbeatable.